Learn how to validate the time period for water sample preservation after collection from sampling points before analysis during water monitoring. 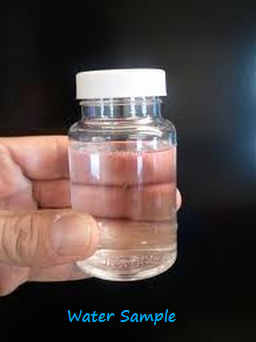 Objective of this protocol is to provide documented evidence through the scientific data to establish and verify that on holding water for over a period of 72 hours after collection and subsequent storage does not affect its results for different parameters such as Description, pH, Conductivity, Heavy metals, Nitrates, TOC, Total count and BET. The scope of this protocol is to evaluate the hold time of water samples upon holding water sample containers for 72 hours while monitoring water quality. Following documents are referred during the preparation of the protocol. • Pre-incubated media/ molten media. Note: Parameter selected in dark shade is considered for hold time study from a particular type of water sample. • Collect samples as per SOP collection of the water sample and store the samples up to 3 days at 2-8°C. • Examine the water physically such as Color, Odor. • In a glass-evaporating dish evaporate 150 ml of sample to 15 ml on a water bath. Method: Into a small Nessler Cylinder pipette 10.0 ml of lead standard solution (1ppm Pb). Into another Nessler Cylinder pipette 12 ml of test solution as prepared above. To the cylinder containing the standard solution add 2.0 ml of the test solution and mix. To each cylinder add 2 ml of acetate buffer pH 3.5, mix, add 1.2 ml of thioacetamide reagent, allow to stand for 2 minutes and view downwards over a white surface, the color produced with the test solution is not more intense than that produced with the standard solution. • To 5 ml sample in a test tube immersed in ice add 0.4 ml of a 10% w/v solution of Potassium chloride, 0.1 ml of diphenylamine solution and dropwise with shaking 5 ml of sulphuric acid. Transfer the tube to a water bath at 50°C to allow standing for 15 minutes. Any blue color in the solution is not more intense than that in a solution prepared at the same time and in the same manner using a mixture of 4.5 ml of nitrate free water and 0.5 ml of nitrate standard solution (2 ppm NO3). • Take the 100 ml sample in a suitable container, and stir the test sample by maintaining the temperature 25°C ± 1°C, measure the conductivity with the help of calibrated conductivity meter. • Take 100 ml of sample and add 0.3 ml of saturated KCl solution. Mix the solution well and then measure the pH with the help of Calibrated pH meter. • Analyze the sample for TOC in a calibrated TOC Analyzer as per the Method for TOC analysis. • Dispense one ml of sample into two petridishes. Approximately add 15-20 ml of R2A / Plate count Agar into each petridishes. Cool the media approximately 45°C (feel on the dorsal side of the hand, it should be bearable). Cover the petridish, mix the sample with the agar by tilting or rotating the dishes and allow the contents to solidify at room temperature. Invert the petridishes and incubate at 30-35°C for 5 days. After incubation, examine the plates for growth, count the number of colonies and express the average for the two plates in terms of the number of colonies forming units per ml. • The procedure gives the use of a single disposable/ autoclavable filtration funnels and filter holder, using a suitable filtration system. • Use sample size as specified in the specification for filtration through the 0.45 m filter. • After completion of filtration of the sample, rinse the filter with 100 ml sterile water remove the filter using sterilized forceps and transfer it immediately to the previously prepared petri-dish with appropriate medium (R2A agar/Plate count agar). • Place the membrane filter carefully so that the air should not be trapped inside the filter, as this will prevent the nutrient medium from reaching the entire membrane surface. Replace the lid. Invert the petri dish and incubate at 30-35°C for 5 days. Count the number of colonies on the membrane and express the results as per specification. • Refer the SOP for Bacterial Endotoxin Testing. Its shall meets the specification of its particular water type. After the complete evaluation of the hold time study for collecting water samples a final Hold time study summary report shall be prepared which should essentially contain discussion and conclusion which clearly determine the hold time period for water samples.